In my forty years of travel, I have run the gamut from slavish reliance on the accommodation and restaurant information in guidebooks to merely supplemental use. When I first went to Yucatán in 1975 and Britain in 1976, I was frankly afraid to go to a place that was not blessed by the footsteps of thousands of tourists before me. Then, little by little, I began to take chances. When I discovered that taking pot luck was no worse than strict adherence—which, in any case, was impossible in those early pre-Internet days when one took one’s chances. Also, I found myself meeting more interesting people. 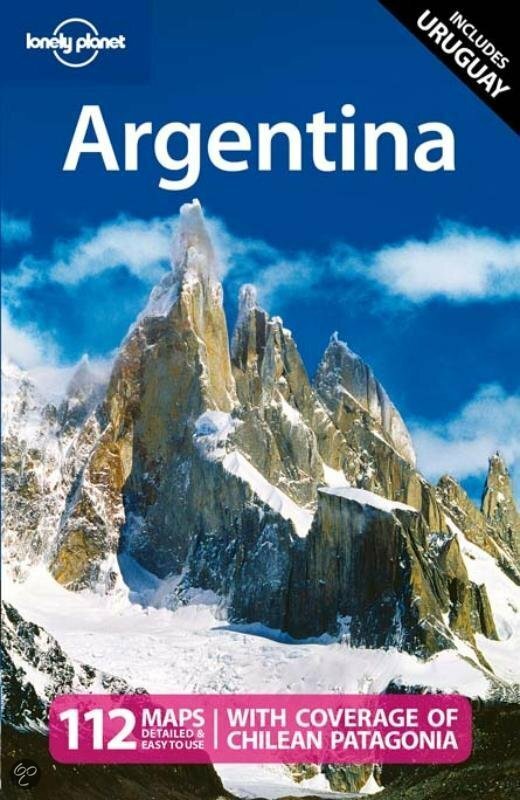 Now, when I go to South America, I’ll take a Lonely Planet guidebook such as the one illustrated above with me—but mostly for the maps. One cannot always get to the tourist office in time for their freebie maps, and sometimes those freebie maps are not very good. I suppose if I were just starting out on my travels, I would probably clutch my guidebook as if it were a life preserver in a storm. But I now know that it’s best to travel by what I call Mexican Rules: Be alert, be willing to switch gears at a moment’s notice, be skeptical. When my brother and I went to Villahermosa in 1979, we couldn’t find any decent places to stay, because they were all block-booked by oil executives and workers. So we stayed in a miserable little Casa de Hospedaje (which my brother pronounced as “Casa de Hopes-You-Die”). Then we spent hours looking for the bus station, which was not where the guidebook said it was. Finally, we just called a taxi and had it drive us to the brand new bus station on the outskirts of time. Finally, the dinner we had was wretched: My brother’s shrimp had tar on it. Dan and I enjoyed that trip anyhow: We had a lot of war stories associated with it.